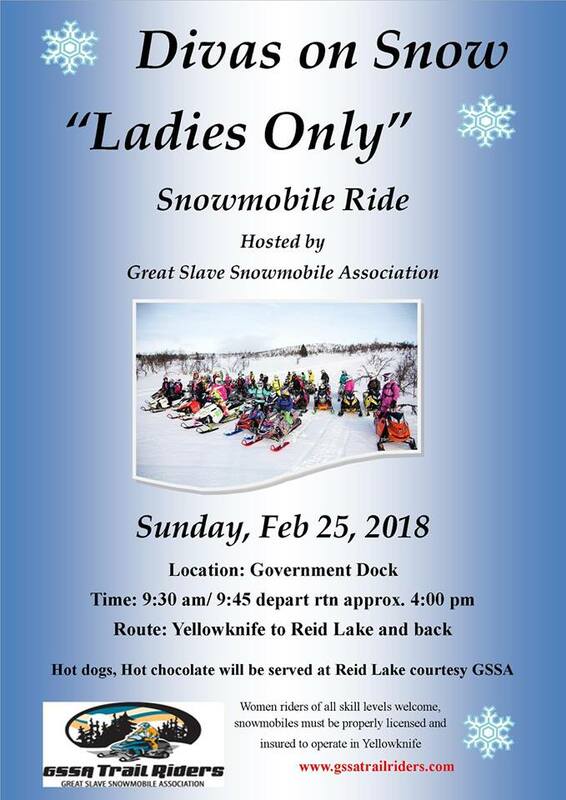 The aim of the ride is to bring women snowmobile enthusiasts together of all riding abilities for a day of camaraderie. Once at Reid Lake we will have a fire, hot dogs, hot chocolate etc. We are looking for some volunteers to preposition out at Reid to have the fire going, hot dogs cooking and hot chocolate on etc. so if you’d prefer to drive out let the club know and we’ll hook you up with Jennifer. Follow us on Facebook and always be up to date.